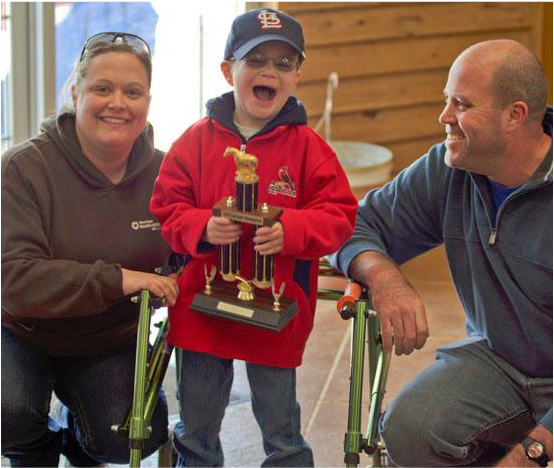 Donation Information - Exceptional Equestrians of the Missouri Valley, Inc. Please select. We will send a letter of acknowledgement to the honoree and donor unless otherwise specified. Please tell us if there is a special message you would like to relay for the honoree. Tell us where to send an acknowledgement. If left incomplete a letter will be sent to the donor only. Exceptional Equestrians has been providing our highly effective and affordable services to children and adults in Franklin and surrounding counties for over twenty years. Our philosophy is to serve anyone in need, regardless of financial situation. We understand many of our participants and their families often are inundated with extra financial responsibilities, such as medical care. In an effort to make sure that every child or adult who needs our services receives them, we've set our rates at an affordable cost and offer financial assistance to those who need an extra helping hand. We are able to do this only through the generosity of our supporters. Please consider becoming a supporter of Exceptional Equestrians. Exceptional Equestrians is a registered 501 (c) 3 non-profit organization and all donations are tax deductible to the extent provided by the law.